Last year, Qualcomm unveiled the Snapdragon 710 processor aiming to bring faster A.I. processing to mid-range smartphone with double the AI performance compared to Snapdragon 660. The company has now introduced an upgrade to the processor with Snapdragon 712 that delivers better battery management, auto-adjust settings for pictures, and improved understanding of voice cues. 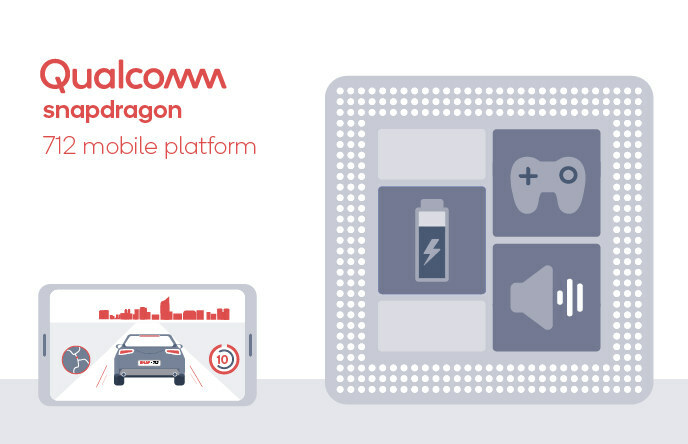 Snapdragon 710 was first announced with Hexagon 685 DSP, but Qualcomm now reports it’s using Hexagon 680 in the product page and brief, so I’m not sure there’s any difference here. The main benefits of Snapdragon 712 appear to be a 10% increase in CPU performance against Snapdragon 710, as well as improvement in battery life. I’m not exactly sure why this part exists, but here’s a link to the product page if you want to find out more.